"We wanted to make the show more relevant, and talk about news and politics was at the lead of that because it was the most compelling conversation to be having," said the senior executive producer of "The View"
In this March 21, 2017 photo released by ABC, co-hosts, from left, Whoopi Goldberg, Sunny Hostin, Joy Behar, Sara Haines and Jedediah Bila appear on a monitor during a broadcast of "The View," in New York. The unquenchable thirst for chatter about President Donald Trump has changed the dynamics of a fierce daytime television competition much as it has in late-night TV. "The View" has spent more time talking politics with the arrival of a new administration, stopping the momentum of its rival "The Talk," which sticks to pop culture. It's a turnabout similar to Stephen Colbert supplanting Jimmy Fallon as the new king of late-night, only it has received little attention in comparison. "It's a testament to the enduring appeal of what Barbara Walters created 20 years ago — a show where women can have a real vigorous debate about the issues of the day and can discuss the things that matter," said James Goldston, president of ABC News, which supervises "The View." In some circles, "The Talk" was seen as a knockoff of "The View" when it began seven years ago. But it became a more pleasant place to visit, to the point where it regularly topped its older rival in ratings starting in May 2015. 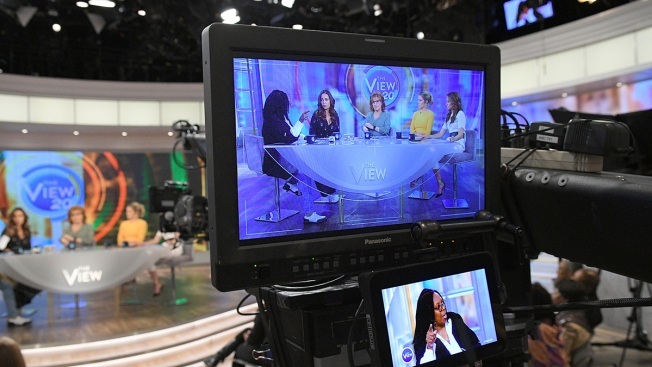 Since the beginning of this year, the average audience for "The View" has increased by 1 percent over 2016 while "The Talk" is down 6 percent, the Nielsen company said. "The View" regularly beats its rival now. Both shows share a format: five women on a set inviting viewers to have a cup of coffee and talk about what's on their minds, with celebrities often stopping by. One recent day illustrated how their focuses diverged, however. "The View" opened with a discussion on "America's national nervous breakdown," pivoting to the White House visit of Republican U.S. Rep. Devin Nunes, then chairman of the House probe into Russia's influence on the presidential campaign. Next, a talk about Trump's effort to roll back some of his predecessor's climate change regulations. At "The Talk," the show started with the story of actor Russell Crowe gaining weight. The "hot topics" segment on "The View," where the hosts begin with a freewheeling discussion anchored in the day's headlines, often stretches to take up most — if not all — of the day's show. Celebrities are sometimes coaxed into political talk. 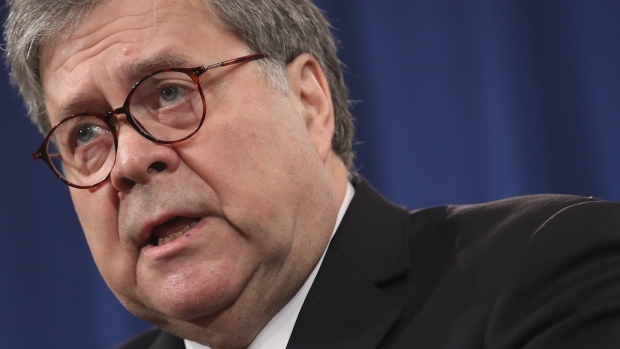 Guests like Democratic U.S. Sen. Elizabeth Warren and U.S. Rep. Adam Schiff, the lead Democrat on the Russia committee, were recently interviewed via satellite. In truth, "The View" was a hot mess two years ago. There was the failed return of Rosie O'Donnell, a revolving door of cast members and gossip column items about backstage bad blood. ABC's news division was put in charge in 2014, taking over from entertainment, and the show finally seems stable. Whoopi Goldberg and Joy Behar are the tart-tongued lead regulars, with Jedediah Bila, a former Fox News contributor, taking the role of put-upon conservative. The newsier focus simply evolved, said Hilary Estey McLoughlin, a talk show veteran who is senior executive producer. She assembled a producing team with Candi Carter, a veteran of Oprah Winfrey's operation, and Brian Teta, who worked on David Letterman's "Late Show." "We wanted to make the show more relevant, and talk about news and politics was at the lead of that because it was the most compelling conversation to be having," McLoughlin said. The current climate can sometimes make "The Talk" seem frivolous and out-of-touch. But it wouldn't be wise to shift gears so the hosts are talking about things they're not accustomed to discussing and the audience isn't used to hearing, said Angelica McDaniel, head of daytime programming for CBS. The show will stick with what has worked for seven years, she said. "We offer a place for viewers to come where they know they can escape the politics," McDaniel said. "Why not come and have a respite? Why not come to a place where you know your best girlfriends are and you can just laugh and have a good time for an hour every weekday?" McLoughlin believes that misreads what the audience wants. "Some people watch daytime TV shows to escape," she said. "They're not interested in politics and they're not interested in news. But we're finding more and more that they are, and that's why we're growing." Bill Carroll, a consultant and expert on TV's syndication market, notes the similarities in what is happening with Colbert and Fallon. But he wonders: "Is this something that's the beginning of a shift or is it an indication of where the attention is right now?" That question will be answered in the coming months.